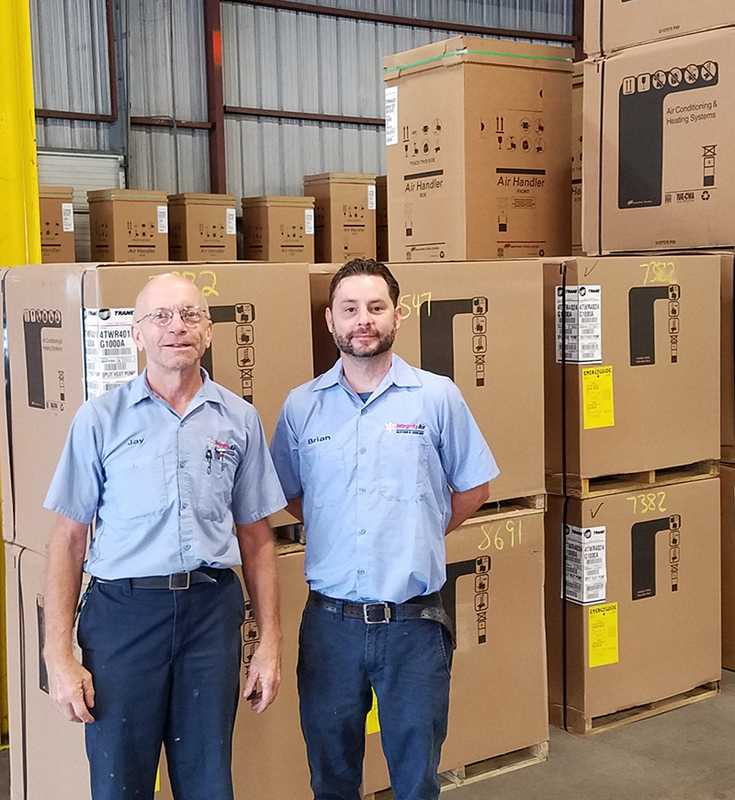 Integrity Air proudly sells the following brands: Trane, and Goodman. Whether it’s your home, office or business, you know how important it is to have a working air conditioning system. Call on Integrity Air for repairs, routine maintenance or installation of new A/C systems. 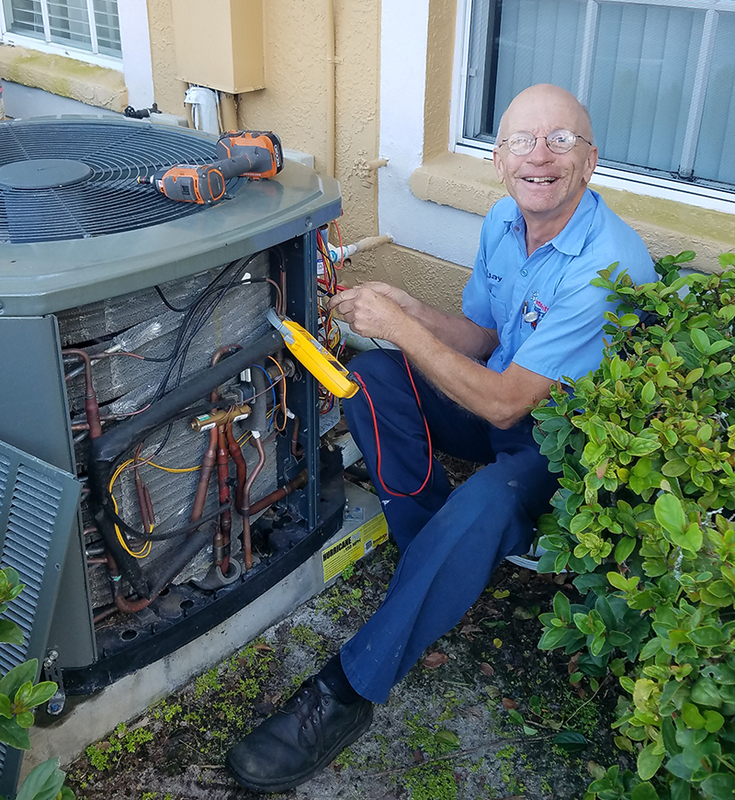 Integrity Air has distinguished itself in the Tampa Bay Area as being the foremost service oriented, comfort provider for many years. Our crew is standing by to serve you – our customer. We’ll help you keep your cool! We sell EPA certified Energy Star Products. Here are some quality differences where we surpass the competition. We use dropcloths to protect your home or building. 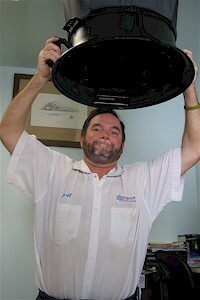 To provide even airflow we measure it, as the photo shows Jeff with the airflow hood. Sometimes we replace a duct with a larger one if itï¿½s needed to provide more comfort to a room. We solve pressure imbalances by adding return ducts. This improves humidity control. When soldering refrigerant piping we use 15% silver brazing rod. This reduces refrigerant leaks compared to lesser alloys used by others. Call Integrity Air for your heating and air conditioning repair, installation or regular service and maintenance. Then you can spend your time on really important things, knowing your home will be cool … WAY COOL! Tampa Bay communities: Bayshore, Brandon, Bloomingdale, Carrollwood, Dover, FishHawk, Forest Hills, Gibsonton, Hyde Park, Hunters Green, Lithia, Lowry Park, Mango, New Tampa, Oak Creek, Palma Ceia, Plant City, Riverview, Sabal Park, Seffner, Seminole Heights, Summerfield, Tampa East, Tampa Palms, Temple Terrace, Thonotosassa, Turkey Creek, Valrico, Walden Lake and Westshore.